Fonts speak a thousand words. Well, sort of =D. But it’s true that font styles are just as important as the text and sentence, acting as a vehicle in communicating the intended message across to readers. Gone are the days when classic fonts like Times New Roman, Arial and Comic Sans dominate every typed material such as documents, letters and websites. Today, designers are spoilt for choice with hundreds of typefaces to choose from and with each one speaking in its own voice. 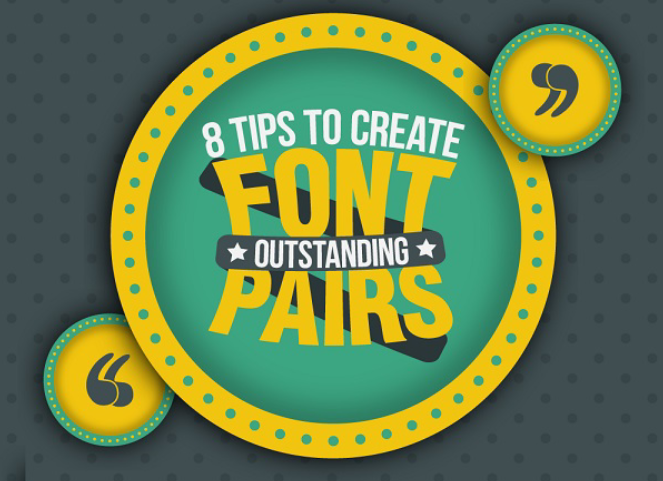 Thus, font pairing is fast becoming a go-to in making your work stand out from the clutter. When done correctly, the interweave of 2 or more fonts will help enhance the message as well as influence the way your design is perceived. With all that said, how do you orchestrate different typefaces to create a sweet symphony? This amazing infographic by Design Mantic will show you how it’s done, like a pro! Check it out and bookmark this page for future reference! Did you peeps like this tip? There will be no mismatched fonts from now on, I hope! If you know of any other pairings, feel free to comment in the box below! Master Photo Manipulation Like A Pro!